Summer is in full swing and figuring out meals is tiring! Thanks to Pinterest I can find recipes from blogs all over the internet to prepare for my family. I love searching for things on Pinterest because it is so quick and so visual. As soon as I see a recipe I want to try I add it to one of my favorite boards. 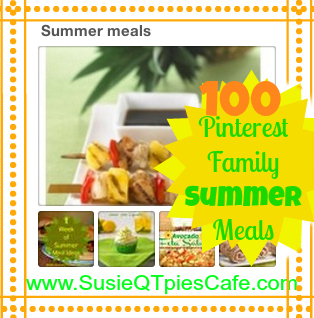 This week I have added new recipes to my Summer Meals board and it is now up to 100 soon to be family favorites! Click over and find something new to cook your family! When it comes to summer meals, what are your favorites? If you have them on your blog, link up below! I would love to see what you have been cooking this summer. 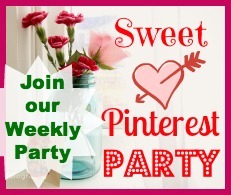 In our weekly Pinterest Party you can link up anything that you want to get pinned on Pinterest! Join in the fun and link blog post, your top pins or top repins, your Pinterest ID, etc. Anything goes!